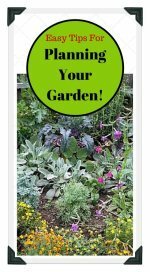 Vertical vegetable gardening plans, tips, and ideas offer ways for saving space in home vegetable gardens. 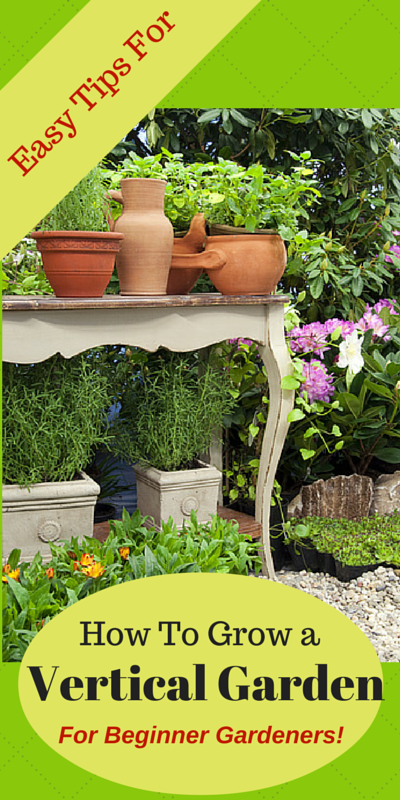 Learn how to design a vertical garden that suits your gardening needs! Do You Want to Save Space by Creating a Vertical Garden? A vertical garden is easy to plan and build. Creating a vertical garden may be the perfect solution for you if you have limited gardening space! Many of the delicious "space hogs" in the vegetable garden can quickly and easily be trained to grow "up" instead of "out", taking one-tenth of the space they would otherwise. When planning a traditional backyard vegetable garden, a container, patio, or raised bed garden, vertical gardening is an easy way to save space in your garden layout! 1. Choose a sunny location for your vertical garden. 2. Locate near a convenient source of water. Vertical gardens can be grown in containers, a raised bed, or directly in the ground using trellises, and hanging containers for additional vegetable crops. 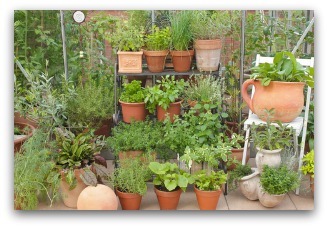 Save space: You can grow and harvest many other vegetables in the space that would otherwise be lost. 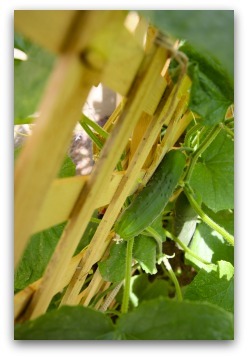 Easier to Harvest: Many of the vegetables will be easier to reach when harvesting. Better Air Circulation around Plants: Provides ideal growing conditions for healthy plants. Keeps Vegetables off the Ground: Prevents mold, soil-borne disease,crawling insects or pests from reaching leaves or fruit. 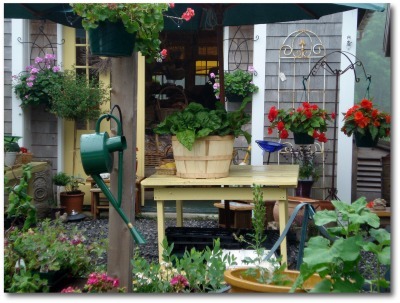 Vertical gardening can be anything from training one or two of your vegetables to grow upward in the garden, to creating an elaborate structure with a frame and cross shelving to contain an entire garden in a small space. Or anything in between! You can use wooden or metal trellises, hanging baskets, shelves, containers, a wood frame, or any combination of these, to create a space-saving vertical garden. Any space you have available for gardening will be better utilized if you take advantage of growing your plants upward instead of outward. This type vertical gardening is great in urban areas where many homes and apartments have limited outdoor space. 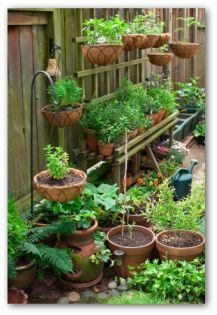 A combination of containers, trellis, shelves, and hanging baskets works really well on a patio or balcony to create a complete garden in a small space. If you can tackle a project like building a frame with cross-supports and shelves built-in, this also works great and can be an attractive feature in your landscape or on the deck or patio. 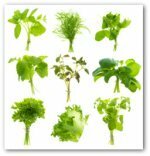 These vegetables are good candidates for a space-saving garden either in raised bed gardens, in-ground gardens, hanging gardens, or container gardens on the porch, patio, balcony or deck. Simply plant seeds or small plants as usual, installing the support at the time of planting. It is important to install the support at the time of planting, as doing so later will likely be difficult, causing damage to the plants root system and vines. These will need support system such as trellis or frame to climb upward. These will NOT need a support system, but can be included in a vertical garden. 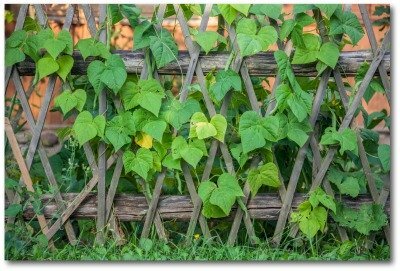 What Location is Best for a Vertical Vegetable Garden? 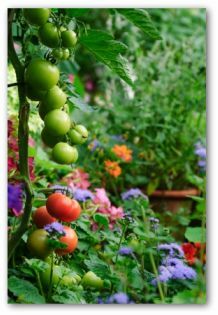 As with any type of garden, finding the best location for growing vegetables vertically is most important to your success. Vertical gardens can be grown on a sunny porch, balcony, deck, or patio. Most vegetable plants require a minimum of 6 hours of sunlight per day. 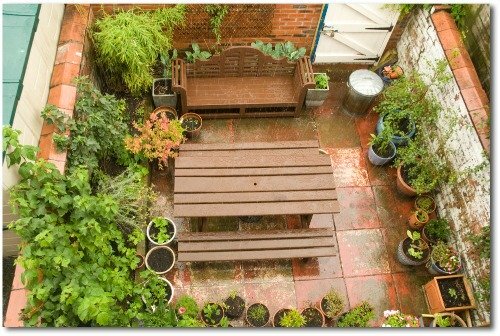 It is also helpful to locate your garden near a convenient source of water. Stay away from trees and shrubs which will shade or compete with your garden for water. Locate your garden facing south if possible. Choose your favorite vegetables for your first vertical garden. 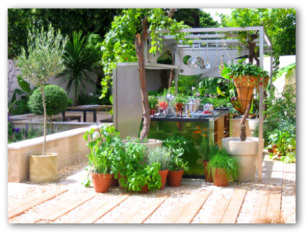 It will be more exciting and rewarding to care for plants that you and your family love to eat. Start small so that you won't get overwhelmed. Remember that you can add more plants and varieties next year and the year after that. Vertical gardening is a great activity that the whole family can enjoy. Children love helping to plant the seeds and watch them grow. Soon your whole family will be involved, and they too will enjoy gardening!